I think one of the most agonizing and stressful times for any parent is when they know their child's life is in danger. This past week was one of those times. I came home from town to find my youngest(age 5) laid up on the couch. Jaimie, my wife began to tell me that Kaleb took a spill on his bike. This was nothing new and I was irritated as I've told him plenty of times to slow down. Like the other times he's hurt himself playing outside, we both thought he just needed to walk it off and tend to the scratches and bruises. But this time was different. He began to feel nauseous and could barely stand up. And he couldn't urinate. Jaimie made the decision to have him checked out at a hospital over an hour away. We got to the hospital and the doctors and nurses began to pour over Kaleb and check him over. They could tell right away that something was wrong and ordered full body CT scans. The scans came back with severe damage to his spleen. The doctors on staff concluded it would have to be removed. But there was no surgeon on staff with experience with someone Kaleb's age. So a helicopter was put on standby and they began to call to other hospitals to find a surgeon on duty to take the case. By this time, Jaimie and I were in shock at the seriousness of the injury and at the fast pace with which the staff was moving to get him to a larger hospital. 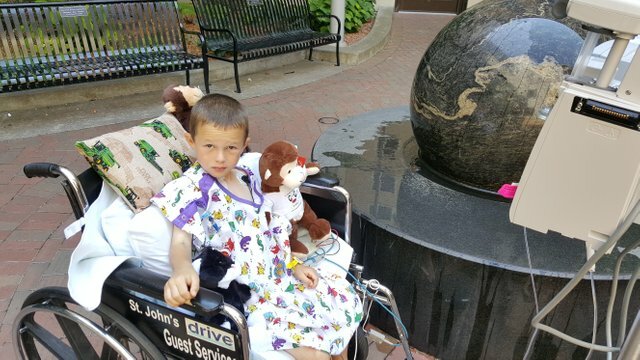 A nearby hospital was found and they decided to put Jaimie on the 45 minute flight with Kaleb so she could be with him. The injury and internal bleeding was beginning to take its toll on Kaleb. Plus it was late and so Kaleb was getting drousy. Before they left on the helicopter, I made him look at me and told him he needed to be strong and brave. He looked back at me and softly said, "ok". For me, the drive would be over 2 hours away. It was the longest drive of my life. When I got there, I caught up with Jaimie and one of the ER nurses who was in the process of transporting Kaleb to the ICU. The nurse informed me that the surgeon staff had reviewed the pictures and decided the injury might not be so bad. In many cases, the bleeding spleen will clot, making a removal unneeded. They would spend some time monitoring his vitals and then make a call on a possible surgery. 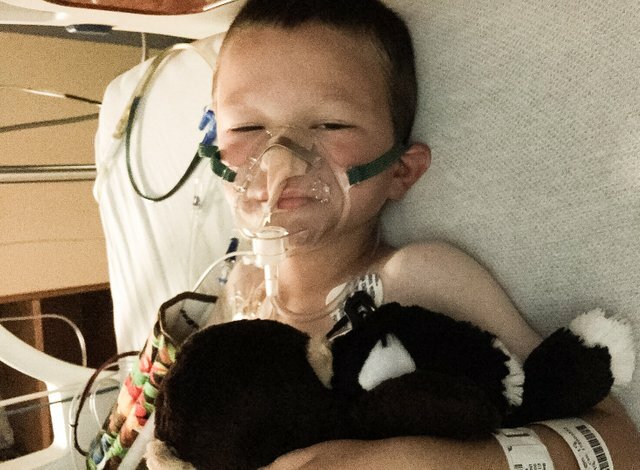 Hours went by and slowly Kaleb's vitals worsened and his abdomen enlarged indicating it was filling with blood. By this time, he had already had 2 blood transfusions. The bleeding was not slowing down. The staff made the decision for a third blood transfusion with an exploratory surgery and possible spleen removal. Kaleb went into the OR (operating room) and about a dozen friends and family waited in the waiting room praying for him and the surgeons working on him. Finally, Mom and Dad got the call to come back and see him. 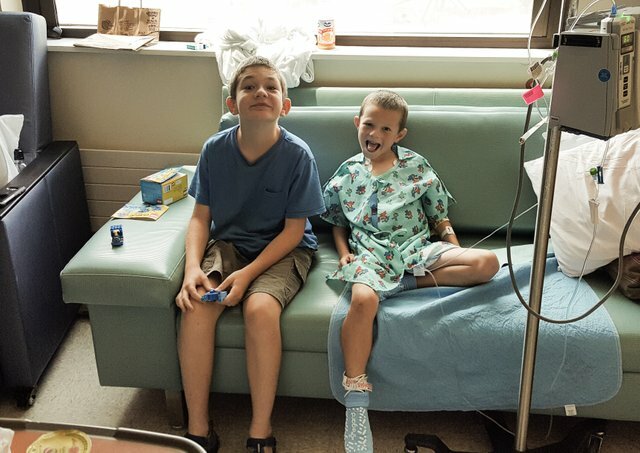 The doctor explained that Kaleb had lost about half his blood from the bleeding spleen. Most had been cleaned out of his abdomen during the surgery. The spleen was destroyed. It had broken into three pieces and could not be recovered. Many times, part of a spleen can be left inside but the damage here was too extensive. Now would need to begin the road to recovery. 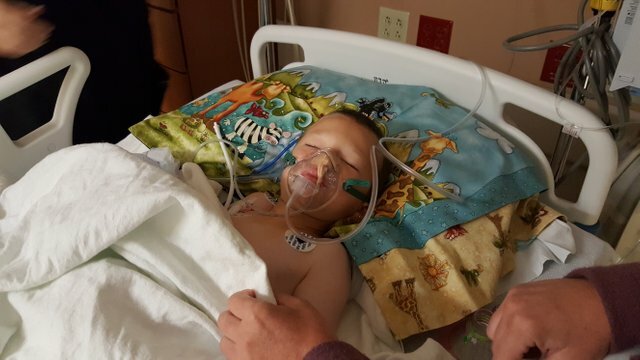 Kaleb was moved back into the ICU to be monitored for any signs of infection or other issues. The doctor felt confident that the wound would heal nicely. Coming out from under the anesthesia was tough. The surgery was finished about midnight. Jaimie and I fought alongside the nurses to keep Kaleb from pulling his cords and tubes out the rest of the night. He didn't know what was going on and he just wanted everything attached to him to be gone. The next few days saw rapid improvements. His vitals were awesome, he began to drink liquids again and then soft foods. He was able to move from the bed to the bathroom and each time he did, he was given a sticker. It was very painful at first, but it got better with each trip. 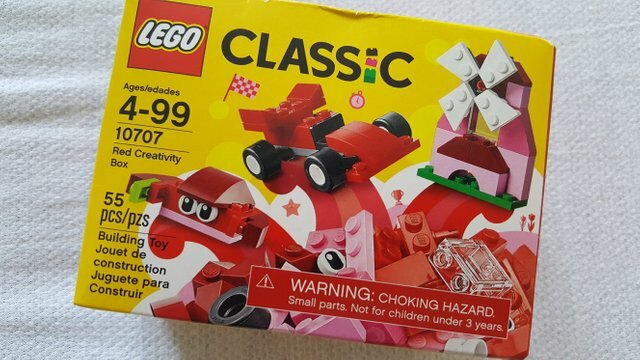 After enough stickers were acheived, a prize was given that was usually a small box of legos. He loved that! Kaleb began to improve quickly and I decided to snap some more pics. I didn't take any pics until after the surgery was done. I was too busy praying and worried about losing him to think of photos. After the surgery and the doctor assuring me this strong kid was going to be fine, I was like, "Okay, I better get a few photos so he can look back on this one day." He wasn't much on smiles at first. Here he is checking out the aquarium on the pediatrics floor. Down in the hospital courtyard, they had this giant marble that slowly spins in a bowl of water. He liked that and even gathered the strength to stand up and try spinning it. His diet quickly increased and he gained energy. Before long, he was the Kaleb we remembered again. Here he is sitting next to his big brother. During the night after the surgery when Kaleb was coming out from under the anesthesia, he would cry out for his brother Joshua. They really are best friends. We dont have health insurance. If you know anything about health insurance in America, you know that it's messed up. The programs are confusing and very expensive. We had thought about signing up for a program called Medi-Share but never did. Big mistake. We are blessed not to have any other debt other than my school loans. But I have no one to blame other than myself for not being prepared for a catastrophic event like this. We are being discharged from the hospital today (Monday). It's 10:37pm Sunday night as I'm typing this next to Kaleb's hospital bed as he sleeps. Losing a child has got to be the scariest and most heart breaking experience one can face. But I can say this for certain, the prayers of so many gave us the strength to endure and to trust that God had a plan and to surrender it all to Him. 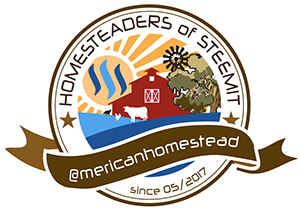 JOIN US ON PATREON FOR MORE BEHIND THE SCENES HOMESTEAD CONTENT AND GIVEAWAYS! EVERYTHING IN THIS POST POWERED BY SOLAR ! I am so glad that your little guy pulled through! What a horrible situation. I am so sorry to hear what your family has gone through. Thanks for sharing your story with us. It's hard to even read this post. When we first got the message on Tuesday that Kaleb was being life flighted the bottom pretty much dropped out of my stomach. Last time I got the call to urgently pray for a friend's little boy, he died before I had even gotten the message. Life can change so, so quickly. We are so grateful that God's plan for Kaleb was to keep him with you a while longer. We haven't prayed that hard in a long time. My parents had a baby in ICU when I was young and accrued $130,000 in medical bills in the three months before she died. I carried that experience into marriage and one of the things I did was research how much just a C-section with ICU stay would be if we were to ever encounter that. We were considering going entirely insurance free but thought about what would happen should we have just one catastrophic situation like that. We ended up joining Christian Healthcare Ministries and have been very pleased at how low the bill has been and we've also been able to help/watch other people's giant medical bills get paid down in a surprisingly short time. One of the things CHM advises is that hospitals typically give a 40% discount to insurance companies on the initial bill and a shrewd negotiator should be able to call on all the various bills and negotiate them down 40% (they also offer help if we're unable to get it that low). My mom did this with large hospital bills for my youngest brother and learned that many hospitals will knock a portion off simply for calling and working out a payment protocol. We also learned that the local midwife can often tell you right away if there is a doctor or pediatrician friendly to outside-the-mainstream families like ones who homebirth, etc. We went without a family doctor for years because we didn't want to fight over some of our decisions, but were able to find a doctor this year who is very willing to work with us and that gives us another backup should we ever need it. Thank you so much for the prayers. It means so much and we know the Father heard them. As for the bills, we will take it one day at a time. There are not a lot of catastrophic care plans out there anymore and the obama care version is a joke and we dont qualify for it. A few years ago, I saw the stats for catastrophic needs and saw that they were so low that we shouldnt even bother. Its one of the reasons those plans were so cheap before Obama care made them illegal. Sigh. Its like any of lifes challenges. We will surrender it to HIM and watch where he leads. You're welcome - I would say, "anytime" but I hope never to have to pray this way for you guys again! For other things, but not this. Yeah, we used to have a catastrophic care plan and it was made obsolete right after we got married. Then we had an insurance plan which cost a whole lot and still had a deductible so high we'd be in debt a while if we ever had to use it. That's how we ended up with the CHM bill sharing program. It was cheaper than the Samaritan's Purse groups (I think there's three or four of those) because it was much older and had a larger pool of sharers. It's also grown dramatically since we joined. And you're absolutely right: no matter how much we try to prepare, in the end it's always God who takes care of us and it's to him that we must surrender our attempts at planning. I am so grateful and relieved that he is now doing fine. How about the rest of the family? This was such as stressful time and I bet mom and dad didn't get much rest. This has to be a parent's worst nightmare. We went through something like this with my oldest son when he was six. He spent three weeks in ICU and had major surgery too. Prayers work miracles! As for insurance... work on that when you have a little more rest and a very clear mind. You will need it to navigate the healthcare circus. As a parent who has lost a child I understood the possibilities of what could happen. As a believer I prayed for the healing from God for Kaleb and the peace and comfort to be around your entire family. I'm so sorry to hear about your loss. Jaimie and I now both understand the pain that is associated with this kind of event. Thank you so much for your kind words and support of our family. Just sharing this post would be wonderful. Thank you WeeTree! Going to tweet and share it here although most already follow you.. This is what I am getting trying to resteem it here. So glad he is on the mend and home with you all! I had over an hour drive when my daughter was injured... time passed so slow and it seemed I'd never get to her. My oldest daughter was flight-cared to a trauma center back in 2005 for a closed head injury (fluke incident while playing basketball). She was intubated and in a drug-induced coma for days... longest week of my life. I can completely relate to EVERY word you said in this post.... brings back so many tear-filled memories to me. To this day... over a decade later...whenever I hear a helicopter, I am transported back to the day of my daughter's accident. Sincere condolences and the Lord provides - be blessed. 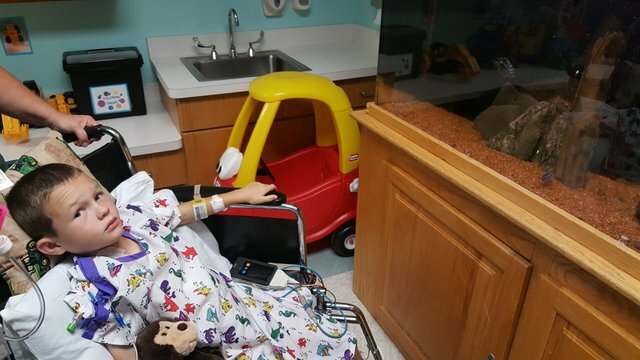 Now that y'all are home and Kaleb is on the mend, I was wondering if there will be a homestead video where the afor mentioned bicycle has an accident with some Tannerite? It may just find it way into a landfill. I can take care of......... Oh wait I don't work there anymore. Lol. FIrst heard of this through @ironshield. So glad to hear your boy is going home with you today. @ironshield has been awesome at getting the word out. We appreciate all the support, well wished and especially the prayers! I'm thankful for @ironshield for sending me a DM and then his couple of posts for keeping me up-to-date on what happened. I was praying for your son as well. Somehow everything will work out just the way the Father wanted it to, even though it doesn'l make sense to us. He is still in control no matter what happens. Continued prayers for a quick healing for Kaleb! Shalom! Thank you for those kind words and for the well wishes! It means so much! We have been praying for him since you posted on fb. Reading this with tears. We have walked through many things with kids in hospitals. Very scary and helpless feelings. Praising with you this morning. We had a preemie and we call him our million dollar baby. Thankfully my husband worked for the Air Force at the time and they about paid for it all. Medishare pulled through for my dad's open heart surgery last year. So I know it works. Is there any way to get your home address to send you money that way? We've been hacked through pay pal and we don't own bitcoin. Sure! It's Kaleb Bauer PO Box 924 Huntsville AR 72740 Thanks! I've been following on FB and I'm really glad Kaleb is okay and home! Thank you. We appreciate all the prayers. My thoughts have been with your family. Glad to see some smiles in the last photo. My prayer is that the recovering will be quick and there will be supernatural provision of your expenses. So sorry to hear about his accident but glad that he's recovering. May he keep getting stronger every day and be home soon. Just a note you could add to your post: People can also upvote your comments to increase the payout and in that way vote more than once. A 1 cent vote then grows to 5 or 6 cents. In a case where folks need the cash quickly it works well to go though and upvote older comments or posts so that they don't have to wait a week for the payout. Σ$$$ Tipped @summertooth Σ1 SMART! 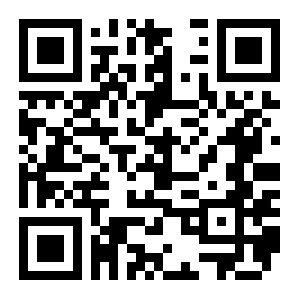 Comment @smartbot help to claim. Currently the price of SmartCash in the market is $0.064 USD per SMART. Current value of the tip is $0.06 USD. To find out more about SmartCash, please visit https://smartcash.cc. 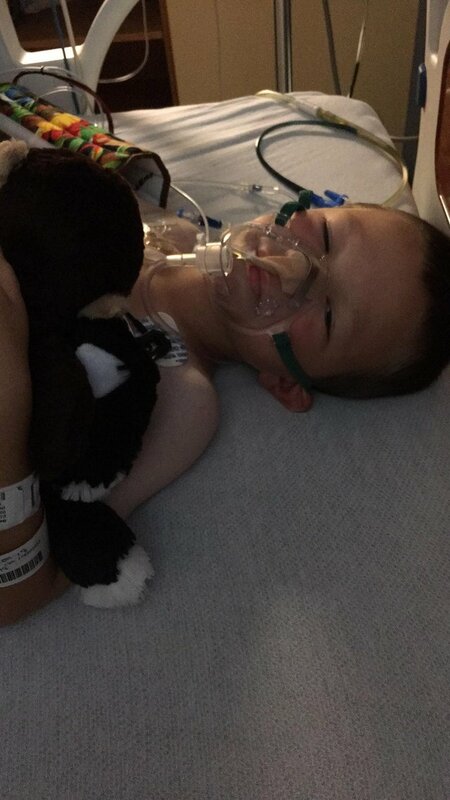 @ironshield kept us informed here on steemit (I don’t have Facebook) and was praying for Kaleb and your family. I can only imagine how terrifying and humbling of an experience that must have been. Praise Yah to be on the other side now! We dont do shots either. Why does that matter with that company? Thanks! Oh no, it doesn’t. It’s just that shots were the only thing we were using the plan for, and after I said no to vaccines, we figured there was no need to have it. So scary! I’m happy to hear he is doing better. Love and prayers. I was late to learn about all this. Sending much love and prayers. We’ve been praying constantly! Our Father is so good! Praise Him Kaleb is doing better and the procedures went well. I pray the rest of you are doing better as well. I know our Heavenly Father will help take care of the financial details. Praise YHWH! Thank you for all your prayers. They have provided strength and guidance for us! Halleluyah that he has improved! I Heard about it on Facebook, but did not know it was so bad. I am so sorry! I upvoted to help. my vote is only about one cent, but every cent counts. Prayers are on the way for a speedy recovery and financial miracles! I can't imagine what you've gone through. 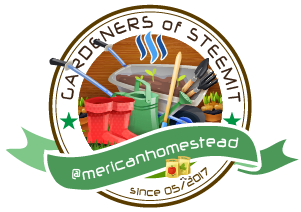 This post has received a 29.12 % upvote from @booster thanks to: @myhomesteaded. HalleluYah!! We are all rejoicing that the little guy is home! So are we! He is home resting comfortably today. So glad that he is recovering and prayers have been answered. You got a 3.74% upvote from @upme thanks to @summertooth! Send at least 3 SBD or 3 STEEM to get upvote for next round. Delegate STEEM POWER and start earning 100% daily payouts ( no commission ). Zach, my wife and I read this together with tears in our eyes. Both tears of joy for you and your family, but also, as parents, knowing the fear and anguish you, Jaimie and Joshua must have endured these past few days. My Caleb and Joshua have asked many times how Kaleb is doing. They speak of them as if they are friends, and pray for them as if they are brothers. I pray Shalom for you and your family and a speedy, full recovery for Kaleb. Thank you for so many kind words! It was a horrible experience but I learned some things. The Father always has instruction for those who reach to Him. howdy @mericanhomestead..so glad that Kaleb is recovering, been praying for him. Praise God! Wow a simple bike injury caused so much damage, I am reminded to be grateful for modern trauma medicine, they are quite good at putting the body back together so the father can heal it. Having 5 kids it really hits in the pit of your stomach to be so close to losing something you love more than your own life, and to be so helpless to do much about it. todays world is bad in many ways, but I will remember things like this next time I am tired of it and be content in it. Blessing to your family Zach, let the fathers hand be on him to heal him quickly. Medishare is absolutely wonderful. But I can empathize with what you went through. GREAT job, Kaleb! Just be safe! So glad you are alive and well. Praise God! Nice to hear Kaleb is doing much better. My wife and me will keep your family in our prayers. SO happy to know he is ok. I try to stress the importance of safe practices with my boys often. They are always doing things that put them in danger of having to go to the Hospital. Shalom Brother. My husband retired last year he is 56. He is covered under his pension for insurance, but I am not. I signed up with Samaritan Ministries. It is a Christian Health Sharing organization. It is very affordable and I have already used it once and it is wonderful. It is based on the principal of Christians helping fellow Christians. I highly recommend it if you decide on looking into healthcare options. Plus you get encouraging notes from other Christians. It has been a wonderful experience for me. God bless your family.